Come read a book to a furry friend! 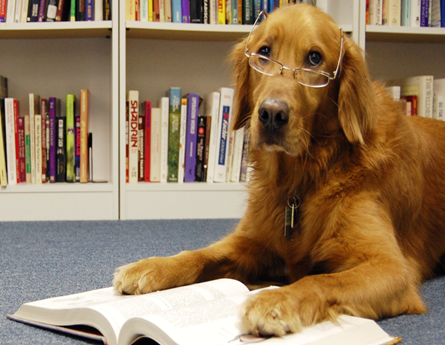 We’ll have trained therapy dogs (with their owners) waiting to hear your favorite story on the 2nd Tuesday of each month. All ages are welcome to bring a beloved book to share with this attentive audience.